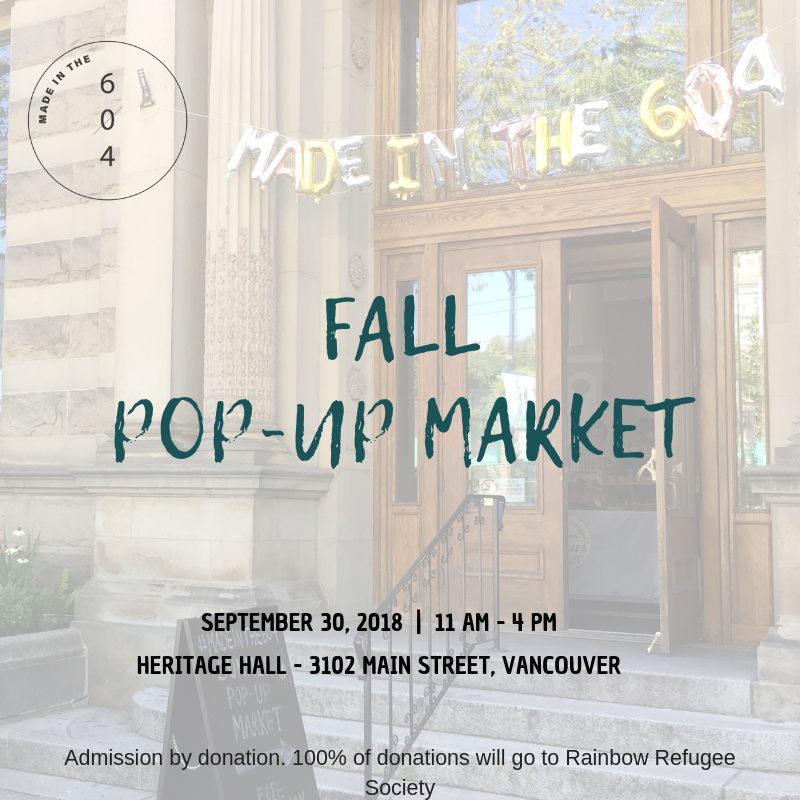 Our second Summer Pop-Up Market will be held at Heritage Hall on Main Street in Vancouver, B.C. on September 30, 2018. Location: Heritage Hall 3102 Main Street, Vancouver, B.C. Click here to see our vendors. Tickets by donation! All ticket proceeds go to Rainbow Refugee (recommended $3 per ticket).